Another place you might wish to rent a serviced apartment in Beijing is Shuangjing. Where is Shuangjing ? This is the area at the south of Beijing CBD with the subway station Guomao is a northern limit. The interest to rent a services apartment there is obvious: for people working in CBD and willing to be a little apart, in areas (very slightly) less crowded. The area is sometimes called the “South CBD” and there is planning going on there by the Beijing urban administraation, a new CBD is under developemnt in the north, in Wangjing, as the current CBD is trying to expand south but with difficulty since the place is already quite overbuilt. This might be an opportunity to discover this area with the guarantee that everything is not going to be rebuilt overnight and will stay more calm compared with the core of the CBD. This area is organized around the third ring road that runs right in the middle and allows a rather quick access to most of areas inside Beijing center (at least when there is no traffic jam). New subway stations have been opened there such as Shuangjing and Panjiayuan. Whith the decelopment of the area, a new population of young Chinese middle class has arrived there. 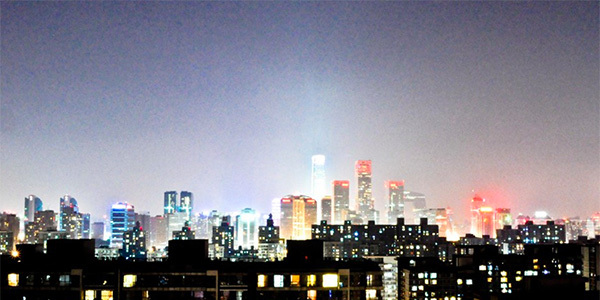 This is a young dynamic urban area and thee is a place there which is sometimes called ‘”the little Sanlitun in the South”, as Sanlitun has become the iconic place in Beijing for bars, restaurants, cafés and venues. This new bar street has settled itself there close to Wangjing subway station (actually next to Landgent Center). Regarding tourism and leisure time, you have the Temple of Heaven not far from here, at the Shuangjing subway station, you have some art galleries such as the Viamin Creative Space and the Today Art Museum. A nice place worth the visit is the Panjiayuan Antique Market, probably the best antique market in Beijing (you might find anoher place in Shilihe) where you can buy all kind of stuff at your own perils regarding authenticity. Regarding familial life, the Beijing City International School is located there. These three compounds offer a wide range of serviced apartments that will be perfectly suited for a short term lease in Beijing, with very good service, serious property management.